Hike five of my 52 Hike Challenge brought me to a location that I initially found when I changed the route I take home from work. I stopped one day to check out what looked like a trailhead sign next to a farm field, and found a promising spot for a hike. 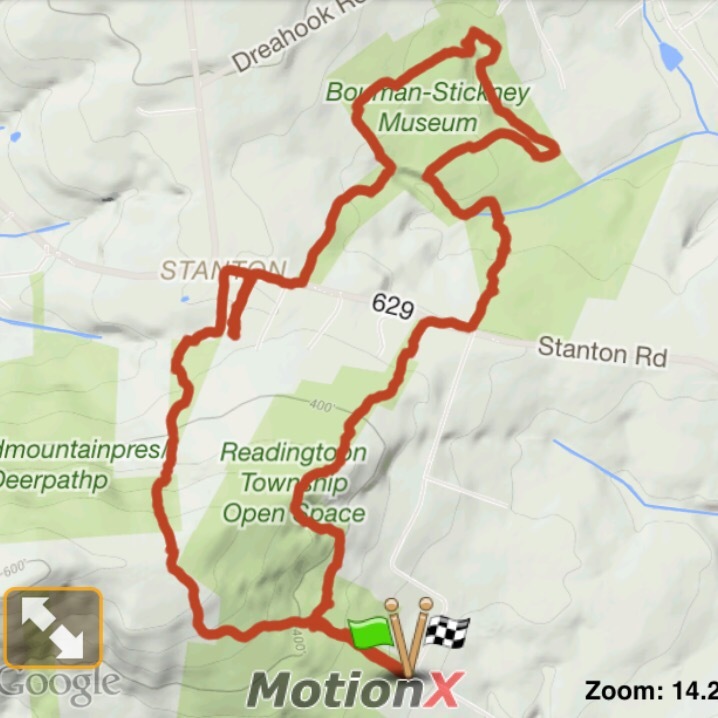 After doing some research on the area; the Round Mountain trail system and Bouman-Stickney Farmstead were officially on my list. Overall the hike was pretty flat, and following the trails between the farm fields got a little confusing. The Bouman-Stickney Farmstead was a cool spot to just sit and think about what most of NJ was like 250 years ago.